Since animal based foods are central to the Paleo diet, and major vegetarian and vegan sources of protein are excluded, it would be difficult for someone who is vegan to follow this diet strictly. Vegans rely on a combination of legumes, seeds, nuts and high protein grains for their protein sources and these are excluded on a Paleo diet. So the Paleo diet is not very accommodating to the vegan (or the vegetarian). 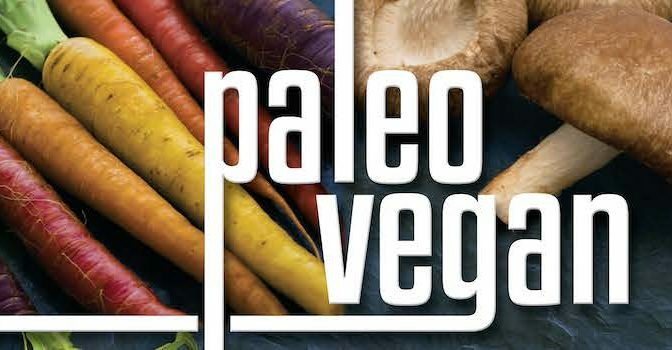 The Paleo diet is based on the principle of being nutrient-dense and less toxic and non-reactive, and so supporting the health of the individual. It is a high protein, high fat diet, albeit the fat component is from natural, untreated sources and coconut oil and avocadoes are major sources of these (apart from the fat content of meat and fish). The main premise is to exclude pro-inflammatory foods such as beans, lentils, soy, quinoa and grains including rice. Starchy foods such as flour and white potatoes also are excluded, as is sugar and alcohol. While vegans can socialise quite comfortably with their ethnic cultural predilections of rice, pasta and potatoes, a preference for a nut and seed based diet, devoid of grains and potato, may incur some social difficulties. Lentils and chick peas are popular vegan protein sources in Mediterranean, Indian and Middle Eastern cultures, and soy beans as edamame or tofu, tempe, natto, soy sauce, miso and tamari feature prominently in Asian cultures. These foods are not permitted in a Paleo diet. Most vegans would not find the above foods pro-inflammatory if they are fermented or sprouted and may not find them pro-inflammatory at all. Vegan cafes and restaurants tend to provide healthy vegan options and ideas for home preparation of protein foods. Vegetarian and vegan diets generally exclude ingredients such as artificial preservatives, colourings and additives and emphasise natural components, often organic. Although many people choose to become vegan because they don’t want to cause suffering to animals, they usually also care about their own bodies and so wish to follow a diet which promotes good health. Whist vegetarians may consume products of an animal which hasn’t been slaughtered, such as dairy products, eggs and honey, vegans consider that, in procuring these foods, the animal has suffered. The calf is removed from its mother, and is usually slaughtered, so that the milk will be used for human consumption. This does not always happen on a farm where the milk is not used for commercial purposes. Fertile eggs are gathered and these will not hatch chicks. Honey is taken from the hive, along with Royal jelly, depriving the bees and their queen of sustenance. For similar reasons, true vegans will not wear silk, wool or leather or use any products containing animal derivatives or used in animal testing. For a vegan diet to be Paleo, grains and legumes must be excluded. These foods contain substantial amounts of lysine and methionine, which are essential fatty acids that cannot be made in the body. All the eight essential amino acids are present in meat, fish, eggs and dairy products, but vegans rely on a combination of grains, legumes, nuts and seeds for their lysine and methionine requirements as these are not present in significant quantities in other vegetables. Nuts and seeds, therefore, become the main protein sources for a Paleo vegan. However, quinoa and amaranth are pseudo-grains and are actually seeds, so theoretically should be permitted. Quinoa is 20% protein and contains as much calcium as milk, and contains high levels of both lysine and methionine, and so it is a very good addition to this diet. Grains are generally poor sources of lysine but are good sources of methionine. Legumes (soy beans, lentils, chick peas, azuki beans etc.) are good sources of lysine but poor sources of methionine. Vegans rely on a mixture of grains and legumes for all their essential amino acids. Lysine plays a key role in producing carnitine which helps to convert fats into energy and cartilage in the body and helps lower cholesterol levels. Sunflower seed, sesame seeds, pumpkin seeds and pistachios contain 1 -2% lysine, while other nuts and seeds have lower amounts. For lysine requirements to be met, at least 30g of the above nuts and seeds should be consumed daily. Methionine is important for the growth of blood vessels and other metabolic processes I the body. Methionine is converted to SAMe (s-adenosyl methionine). It helps prevent depression and reduces levels of inflammatory histamines in the body. Brazil nuts, cashew nuts, sesame seeds, pumpkin seeds and chia seeds have reasonably high levels of methionine. 25-30g of each of these would need to be consumed each day. Coconut water is also a good source of methionine. Quite a large quantity of nuts and seeds need to be consumed to provide complete protein for a vegan following the Paleo principles. Why follow a diet that has not been prescribed for you and may not be suitable for you anyway? It is important that your diet is nutritious and well balanced, and if legumes and certain grains are well tolerated, there is no reason for them to be omitted. The question remains: If you follow a balanced, nutritious, organic vegan diet, why would you want to follow a Paleo diet whose main protein sources are from animals? Maybe this delicious recipe for a vegan Paleo cheesecake is a good enough reason. 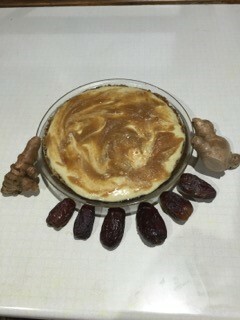 For base, blend together almond and dates, then press onto cheesecake mould. For filling, add ginger, turmeric, lemon juice and water to blender. Blend together, then add the remaining ingredients and blend well. For topping, blend ingredients, then spoon on top of cheesecake.